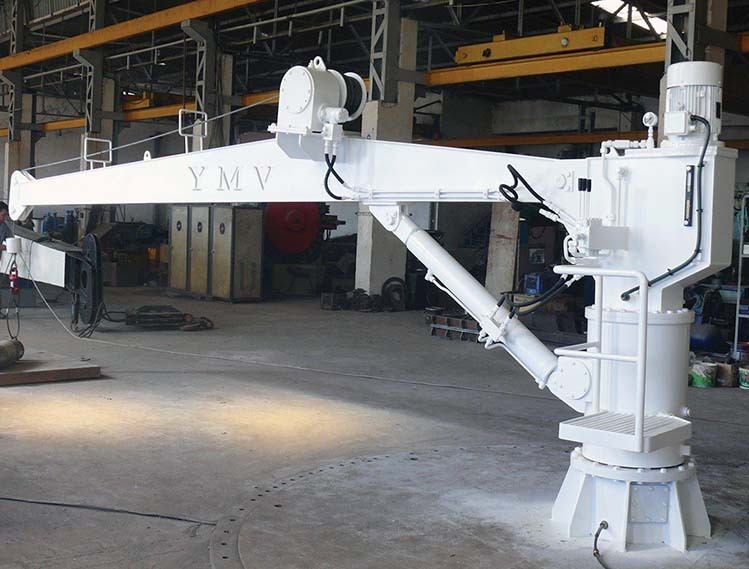 YMV electrohydraulic stiff boom cranes are manufactured for Ships, Supply Vessels, Tanker Vessels, Tugboats, Container vessels. Main purposes are hose and pipe, provision, service, container and cargo handling also cable laying. 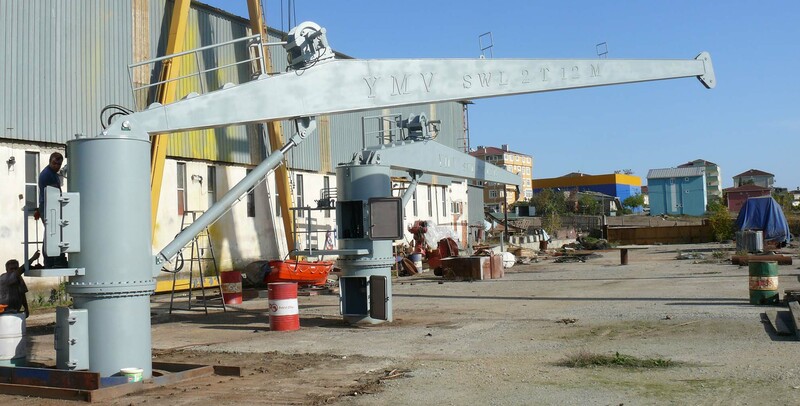 YMV stiff boom cranes capacities are between 1 - 50 T. Outreach of boom can be between 5 -32 Meter. Pedestal Diameter range is 550 - 2.000 mm, decided according to project and operation.